You want me to tuck you in? Yeah. I need a kiss. Thank you for getting the kiss for me. Nigh-night. Darwin had fun playing with her buddy, we had fun conversing with friends, and there was cake. All-in-all an awesome morning. Then Darwin spent the following two hours refusing to nap. I finally pulled out the pack’n’play and went to pick apples in the backyard, in the hopes that Darwin would be more amenable to sleep after I’d taken a breather. She was not. Leah tried, and failed. After two hours we called it and went on with the day, one beer heavier. My dad came over and helped collect apples, mowed our backyard, played with the babies, and helped out in the yard for a bit. Darwin adores her Opa, and I can only imagine Linnea will be similarly smitten. I know the feeling is mutual. After a short break our friends we share care with brought over pizza (and a cinnamon wheel, omg yum), and got to meet Linnea for the first time. Darwin got extra time with her friends outside of our normal weekly routine and we got more friend visiting time too. It was awesome. I love sharing our family with people I love. We are so lucky to belong to this community. Finally, bedtime. On the plus sides, Darwin was asleep by 8. And she used the potty. And she kissed her sister goodnight. I’ve wanted kids for as long as I can remember. It’s probably a good thing I’m a lesbian, because seriously, I’m sure I would have ended up making the leap into parenthood way earlier than was good for me otherwise! However, in my happy little vision of parenthood, I never really seriously considered that there might be more than two. I grew up the second of two. Most of my friends were one of two, or only children. The only family with my direct extended relatives (my generation) with more than two had twins to get to three. I come from a family of low rates of reproduction. Leah and I have always talked about the possibility of more than two. But never seriously. And now here we are with two amazing girls and…I don’t feel done. This both scares and excites me. I talked about possibly carrying more kids after Darwin was born, but in my head I was saying it as a way to be ok with being done with that role. Yes, backwards, I know. I worry about having more kids and never feeling done. Maybe this is me being done, and I just have to live with a comma rather than a period. And how silly and crazy is it to be having these thoughts with a toddler and a newborn? Less than two weeks old and already thinking about another? (And another because that’s the deal – we end with evens). Some of it stems from seeing Darwin with Linnea. She’s jealous sometimes, but mostly she wants to hold her hand and share her crackers and pat her head. I know from experience that much of their sibling interactions will not be harmonious, and that’s ok, because they are sisters and family and amazing. This doesn’t even touch on thoughts of money, space, energy, time, thoughts from my family, our midwife (who clearly never actually wants to retire. Ever), or implications for my work. Maybe I’ll start a mini blog series dedicated to these ideas. For my own food for thought, how many of you, my friends, felt done with one, or two, or three (or more)? How many of you are done even if you never felt done, and how do you hold that reality? It’s hard to fathom that only two years ago we were anxiously awaiting the arrival of our first child, and here we are basking in the glow of our two daughters. Darwin turned 22 months old on the 10th, six days after becoming a big sister. Currently, she is as likely to say that I’m at the hospital as to say I’m at work whenever she talks about me and I’m not around. That has become a big part of her narrative, for better or worse, over the last couple of weeks. Having two under two is…awesome. Y’all, this could change at a moments notice, but for now, it’s just awesome. No, we’re not really sleeping much (me more than Leah, this time around), our house is a mess (except when our doula is there for a few hours), the dog hasn’t been walked in probably five days (but seems mostly okay with that for the first time ever), and we’re sorely unprepared for our trip to Maine in 5 weeks. But life is good. So. Many. Stories. We now understand more than we don’t, and Darwin will ramble on and on about her day now. Her favorite story to tell goes like this: “N bite Darwin a long time ago. J bite Darwin a long time ago. B bite Darwin a long time ago. Grandma bite Darwin a long time ago…” and on and on, until finally she just starts grinning, then laughing outright. Over the Rainbow, skies are pink. Belly laughter. An almost-two-year-old telling jokes has got to be the delight of my day right now. Singing. When Darwin isn’t talking, she’s singing. She sings nursery rhymes, all the songs we’ve sung to her over and over. She sings about her friends. She sings about the dog. And apparently her little friend N also sings about her and us. My heart is full. Sandboxes are THE BEST THING IN THE WORLD. If we could replace our living room with a sandbox, we would have hours free from parenting every day. At least until the baby learns to crawl. Crackers, beans, cheese, and watermelon. These are currently Darwin’s four food groups. We continue to offer a wide variety, and hope that one day she will eat more than a taste. She ate a carrot the other day and I had to restrain myself from actually doing a dance, as I’m sure that would ensure that she never, ever did it again. Sleep comes and goes. Last night she was up at least 6 or 7 times to nurse. Most nights it’s down to about twice, which is entirely within my comfort zone. This kid is a milk monster, and it’s why I don’t actually worry too much about her nutritive intake. Outside is still a favorite, so we’re doing something right. Darwin loves to walk, dig in the dirt, and water the garden. She picks berries (the strawberries that my dad and I planted when I was pregnant for exactly this purpose), moves dirt from here to there, and begs to play in the wading pool at all hours. Bubble baths became a thing because I’m a sucker and I tried out the Honest Company. I worry for the day we run out of bubbles. I do have to tell her that the bubbles are not for eating. Have I mentioned that this kid is a sensory-seeker? Seriously. Bubbles. Yuck. Snuggles. The snuggles have become just lovely. After we nurse at bedtime I can convince her to stop by saying we can have snuggles before she climbs into bed. Now she’ll snuggle up on my chest and tell me all about her day and the people she saw and played with, and then she’ll slide down onto her “big girl” bed (a crib mattress next to our bed), and conk out. Let me tell you, after the first week post-birth of Linnea, in which we had two three-hour bedtimes that involved many tears and much begging (on my part and hers), this new routine is THE BEST. The Woof-Woof. Our dog Scout is very sweet and great with kids. She follows us around any time we’re home, and began coming into the bedroom a few months ago when I would take Darwin in for bedtime. Now Darwin will demand that Scout come too, and will sob very quickly and dramatically if I forget and close the door before the woof-woof is present. I now dread the day even more, whenever it comes, that Scout is no longer with us. I’m so done with toddler diapers, but Darwin is unfortunately not. I was really hopeful that by keeping her in cloth, she would be ready to potty train early. While she’ll use the potty occasionally, and sit on it in order to read books for hours if we let her, more than ten minutes with her diaper off around the house and she’s left a puddle, much like a shameless puppy. A couple instances of stepping in pee-footprints cured me of any hope that she might be ready to potty train. Oh well. Linnea Melise was born at 7:30 am on July 4th after 32 hours of labor. She surprised us all at 8 lbs 13 oz, and 21.5 inches long, her size having been hidden by a giant, very healthy placenta. Both baby and mama are doing very well after transferring 24 hours into labor for pain relief and rest. We’re sitting here in this liminal space between parenting one and parenting siblings. Any day, any hour now really, we could find ourselves on the other side. I’ve been thinking a lot about what we’ve done to prepare. If having one taught me anything, it’s that there is very little we can do to prepare. Much of this process of bringing new life into the world is waiting and responding and living with immediate wants or needs. But we have done a few things, and I’m really interested to see how important the feel on the other side. Clothes: two weeks ago my dad and I put together a dresser, which is now full of clean baby clothes, blankets, shoes, burp rags, and various other bits and pieces of things we will probably use for less than the first 3 or 4 months. And yet these things are probably going to be absolutely necessary during that short period of sleeplessness, spit up, and cluster feeding. Replacing gross carpet: the last patch of nasty, stinky carpet is now out of the house, replaced with grip strip laminate that looks awesome and was SO EASY to install. Our bedroom no longer smells constantly dirty. Repairing the water pressure: This has been an ongoing problem for years. I tracked down the problem and my dad and I repaired it last Saturday. Best part is that we can actually fill a birth tub if Leah ends up wanting it. Ok. Maybe the fact that it doesn’t take 25 minutes to fill Darwin’s bath. Or that the diaper sprayer, well, actually sprays. Purchasing an umbrella and a small, inflatable pool for the yard: expanding or usable space. 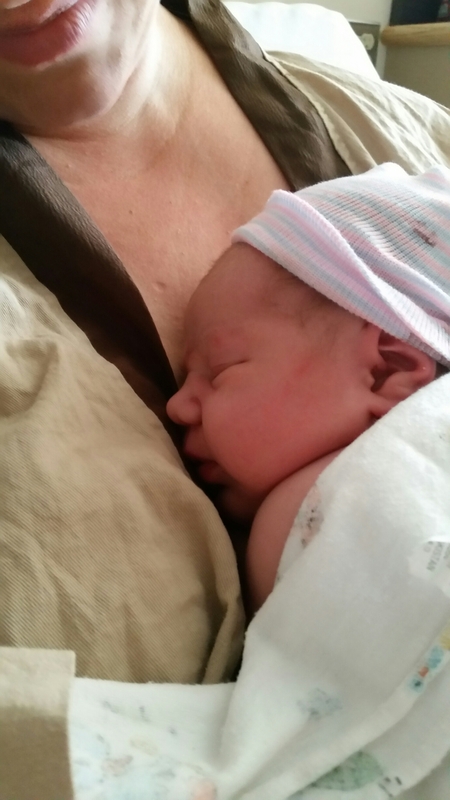 Postpartum Doula: this is the one that I’m most pleased about. We have a friend who is a postpartum doula, and our awesome, amazing, approve community has come together to hire her for us. I just don’t even have the words to express how good it is to know that she will be available to support Leah (and me to a lesser extent – or maybe just different?) 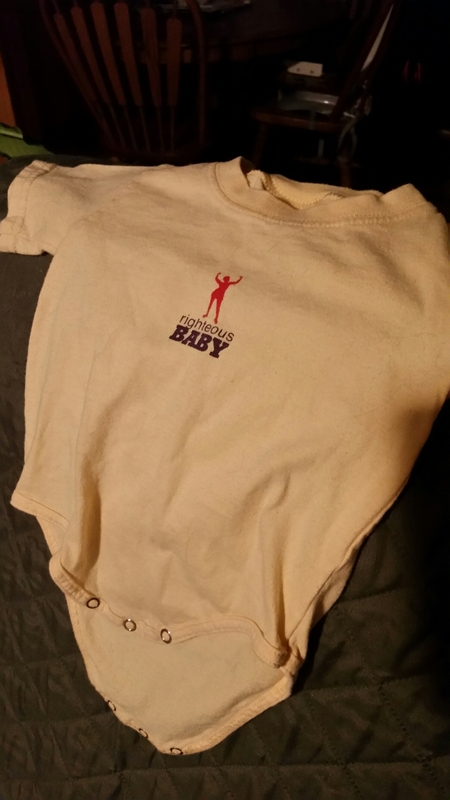 as she navigates the beginning of life as a gestational mama. Have any of you had postpartum doulas?Was there anything you wish you had known with your subsequent children? Did you find your support networks shifting again, or were they settled out after the first little one? When Darwin was a tiny infant, we used to sing everything to her. Whatever we were doing would be explained or narrated in song. And now, everything we’re doing is narrated in song, but we’re not the ones doing the singing anymore. Darwin sings Twinkle-twinkle (with a variety of replacements for the actual words, depending on her mood), Mary had a Little Lamb, the ABCs, several less savory dance music lyrics, and a host of songs that we made up. She recites nursery rhymes and is currently stuck on a constant loop of Humpty-Dumpty, which she has also provided as the name for all small doll-and-doll-like-objects. She can “read” most of the books that we’ve opened more than once, and those we haven’t, or are in foreign languages? She just sits down and jabbers away incomprehensibly. I remember when I was in high school and had the joy and luck to spend two afternoons a week with a little dude who actually just graduated from high school himself. He would also “read” entire story books. I was amazed. When he was two, he could identify over 20 species of birds by their songs alone. This was the beginning of my appreciation for the true brilliance of the human brain during the first five years of life. It is really quite remarkable.